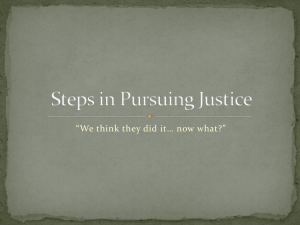 outline the steps followed in most criminal cases. equally balanced scale to weigh evidence. Babylon from 1792 to 1750 B.C. law for people of several major religions. 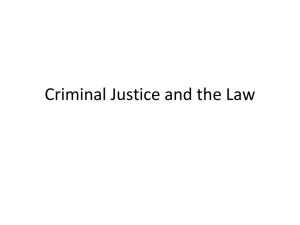 law, civil law, and criminal law. given the right to respond or be heard. you think is the most important? 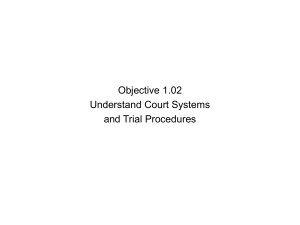 principles of the American legal system. Match the term with the correct definition. laws assembled by Hammurabi, king of Babylon. organized by the Roman emperor Justinian. existing law to be repealed. 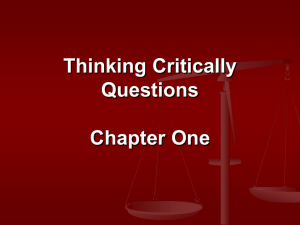 • What are the steps in a civil law case? attempt to provide justice for all? involved in resolving a civil dispute. 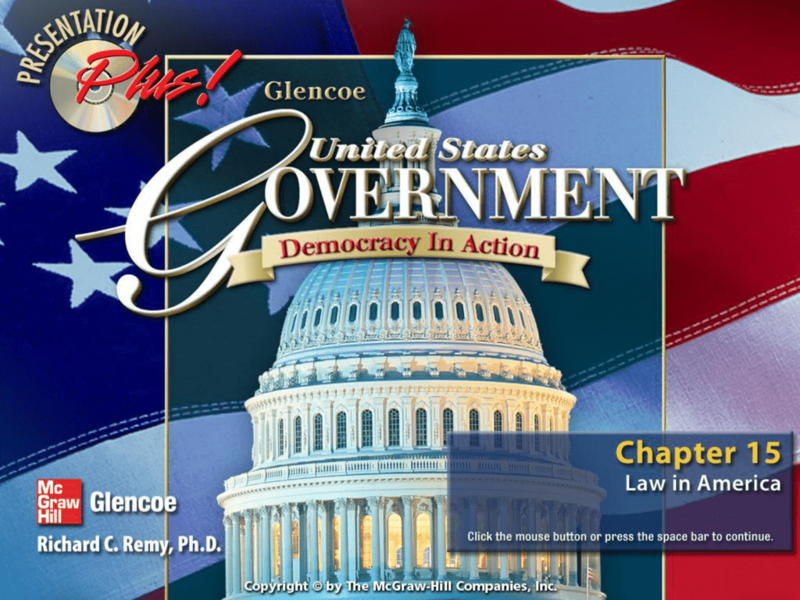 in the United States, mostly in civil law. 90 percent of the cases heard in state courts. physical injury or injury to property (tort). to sue for damages in a civil court. 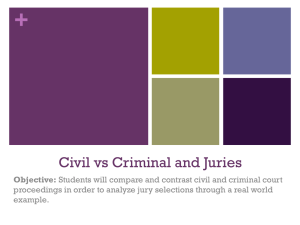 most common kinds of civil law cases? Civil law settles disputes between people. Contract, property, family, and tort cases. jury or a judge, who decides the verdict. placed on damage awards in civil cases. the effects of limiting damage awards. civil trials by setting up small claims courts. small business problems, and the like. judge’s decision is legally binding. part of the civil justice system? below to show the five steps in a civil lawsuit. 3. Identify Fair Housing Act. that a reasonable person would have done. before discussing the case in class. 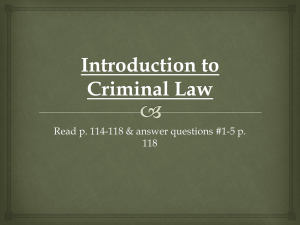 • What are the main steps in a criminal case? and the rights of society? helped bring about this remarkable change. like murder, robbery, or kidnapping. review the evidence and reach a decision. agree or disagree with this idea. for discussion of plea bargaining. between the steps in criminal and civil lawsuits. 3. Identify Sixth Amendment, Fifth Amendment. testify cannot be taken as an admission of guilt. 4. 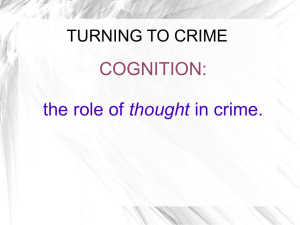 Identify three classifications of crimes. depending on the severity of the crime. be allowed to raise bail? Why? the principle of innocent until proven guilty. the accused against the rights of society. Match the following terms with the descriptions below. the United States legal system. against which all other laws are judged? The United States Constitution is the standard. 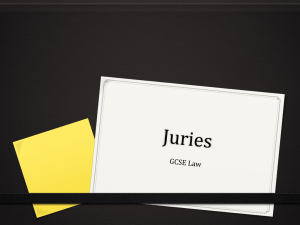 The courts hear civil cases and criminal cases. little money or little political power. person will be found guilty and imprisoned. process deals with the content of the law. reasons for and against plea bargaining. encourages people to give up right to a fair trial. 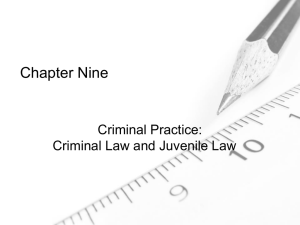 legal issues discussed in Chapter 15.
meeting the obligations established in the contract. as both torts and crimes. take a case to a small claims court? its two-court system in the mid-1870s. standards as they consider the competency of the lawyer. to accept female lawyers, a victory that was achieved in 1879. Click the Forward button to go to the next slide. Click the Previous button to return to the previous slide. Click the Menu button to return to the Chapter Menu. Click the Help button to access this screen. Click the Audio On button where it appears to listen to relevant audio. Click the Audio Off button to stop any playing audio. key [Esc] to exit the slide show. Online, and others are located in the left margin of most screens. Click on any of these buttons to access a specific feature. 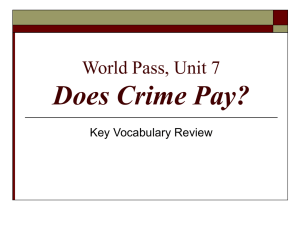 World Pass, Unit 7 Does Crime Pay?